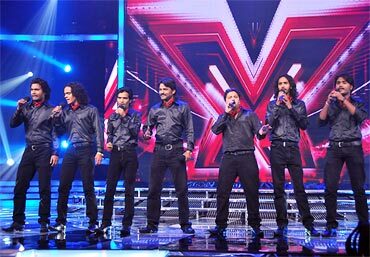 X Factor India has selected its top 12 contestants after holding auditions across the country. The 12 contestants are divided into three categories: above 25 years, below 25 years and the third one is of groups. On Friday and Saturday at 9pm on Sony Entertainment Television. Last Minute is a group of eight students from Pratt Memorial School. They have been part of their school choir for the last five years. 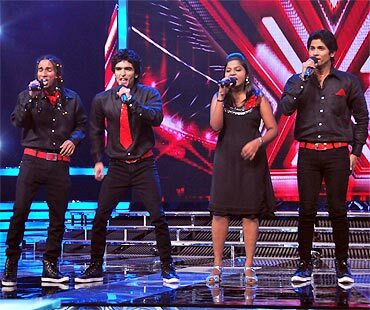 They wanted to step beyond the limits of their school, and so decided to participate in X Factor. 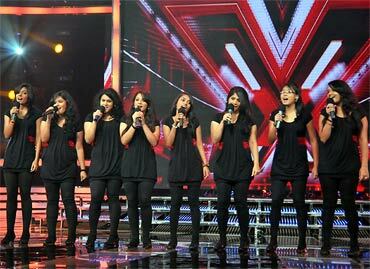 Says Shreysi, a member of the group, "We are originally a gospel choir and have been singing in English. None of us is a trained singer except me. So it has been difficult for us to cope with the kind of music we are singing here. It's also been difficult for us to stay away from our parents. This is the first time we have come on such a huge platform so it's big thing for us. Like they say, there is no gain without pain, so no complaints." As their name suggests, this group of four is always into innovating and believe in creating their own brand of music. They perform retro music in their unique style. Students of Mumbai University, they just want to make good music and make their families and college proud. Vian says, "We met at competitions and youth festivals and realised that our common interest is music. So we decided to form a group and participate in X Factor. It's not been easy for us to reach here because there was so much pressure to perform better in every round. We are glad that we made it to the top 12." This trio of two sisters and a niece have no formal training in music, but singing runs in the family and they want to showcase their singing talent before the whole nation. It doesn't matter to them whether they win or not; they know that X Factor will give them a platform and global recognition. Anita says, "We are professional singers, have been giving shows all over India. We have the full support of our families to be on the show. 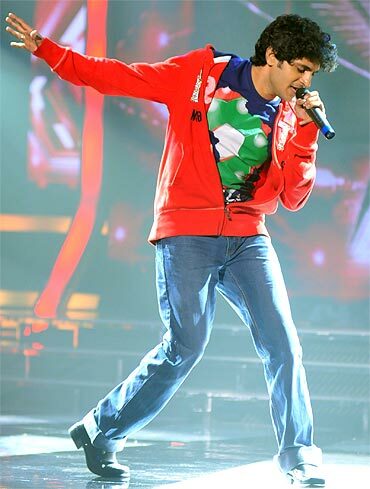 I had participated in Sa Re Ga Ma Pa when Sonu Nigam was the host and also when Shaan was the anchor. 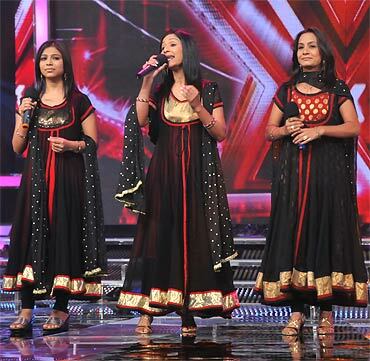 We are not trained singers but we have still managed to reach this far in the competition." This local music group from Ratlam and Udaipur has struggled hard to be heard on a bigger platform. Having done countless local shows, they feel it's time for them to establish themselves successfully in the dream city of Mumbai. Shanawaz Khan says, "Rafi sold his bike to buy our travel tickets to go for the audition. Out aim is to work hard and perform better. Hope our dreams will be fulfilled through this show. If we win, we would like to help a friend (he was in the band) who needs money for a kidney transplant. His wife is ready to give him a kidney but doesn't have enough money for the operation." 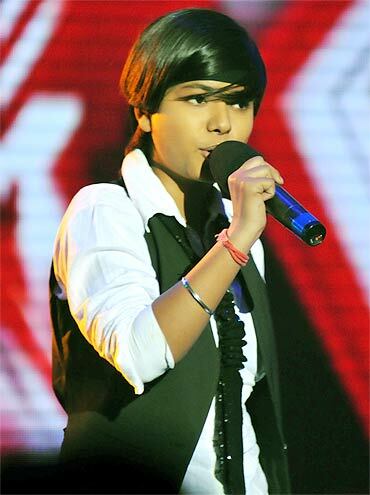 Seema, something of a tomboy, thinks that she has the 'X factor' in herself and that qualifies her to be a contestant for X Factor India. Her beautiful renditions of songs have earned her the title 'Little Lata' from senior musicians. Now she wants her voice to be heard across the country. 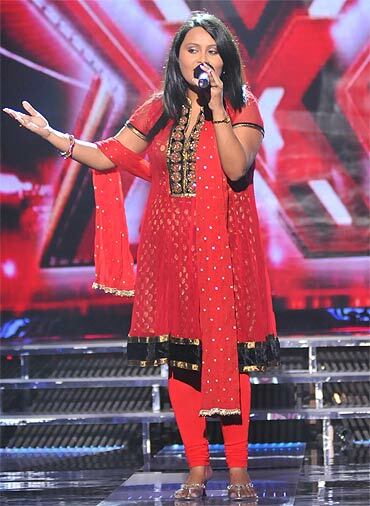 Says Seema, "I am the youngest contestant in the show. I have to really work hard to be on par with the others. I have been performing in Delhi from my childhood. I am not a trained singer; I have learnt everything by listening to music and reality shows. This is the first time I am coming on TV so my friends are even more excited to see me on TV than I am. Sonu Nigam is my favourite singer and I am glad that I am in his team. Lataji is my idol and I always feel like singing her songs." Piyush feels that there is no life without music. Music speaks what cannot be expressed, he says. His biggest dream is to become a live performer. "We started as a metal band but slowly realised that we needed to be a little commercial for Indian audiences. We later formed a commercial band where we perform for the masses and music for the classes. I try to transform every song to suit my own style. I have been conducting music workshops for many years. I have not been able to give my 12th standard exams because of the stage shows. After X Factor I will concentrate on my exams. 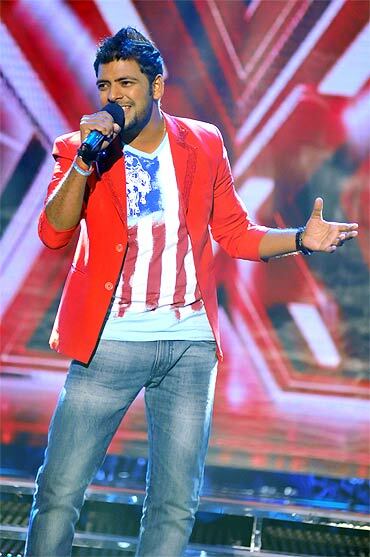 If I win this reality show, I want to come out with an album," says Piyush. Sahiti is the winner of Telugu Sa Re Ga Ma Pa. She is a software engineer with Infosys and has taken a break from work to be part of this show. This singer has not let anything affect her passion for singing. 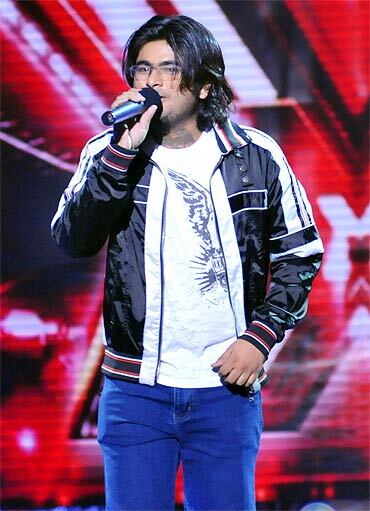 "I have been part of regional reality shows but X Factor is completely different. I have learnt the basics of Carnatic music. I am not very comfortable in Hindi. So I am working very hard to get to learn the diction and the meaning of the lyrics before I sing." Shovon has been learning classical music for the past 12 years. He was runner-up in a Bangla Sa Re Ga Ma Pa reality show. Shovon also writes poems in Bengali. Music is an integral part of his life and therefore he decided to participate in X Factor. He is determined to make his presence felt on the show and get some recognition for his voice and music. Shovon says, "I have participated in a number of music competitions and reality shows in Kolkata but this is a huge platform. Manna Dey and Sonu Nigam have been my idols. I am glad that I got an opportunity to meet one of my idols and also be part of his team. I want to open a recording studio and launch a music company if I win this competition. I am good in classical music but weak in western music. I not comfortable in Hindi but I am getting used to it with the help of my room mate Piyush (from the same team)." Manjeera always dreamt of coming to Mumbai and making it big in the singing world. She went to Nava Nalanda School in Kolkata and graduated from Jogamaya Devi College, Kolkata. Manjeera's parents wanted her to pursue a career in medicine. 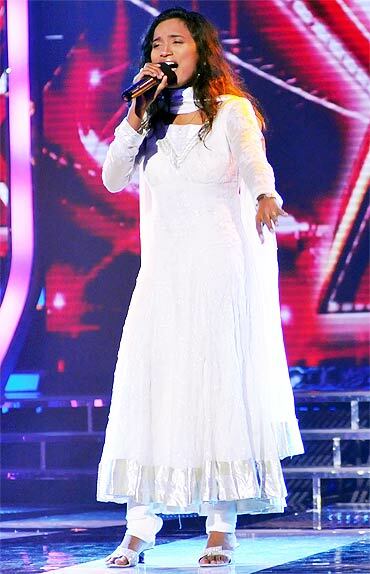 She shifted from Kolkata to Mumbai in 2005 to further her singing career after she was selected for Zee Sa Re Ga Ma Pa, but failed to make it to the finals. She continues to live in Mumbai. Manjeera says, "I am a trained singer and my strength lies in being a complete performer with great stage presence." Geet, an event manager, has been passionate about singing ever since he was a kid. He's been singing songs and compeering shows from his school days and was later selected as radio jockey for Lemon 91.1 through a talent hunt. He had to give up his job as RJ for health reasons. 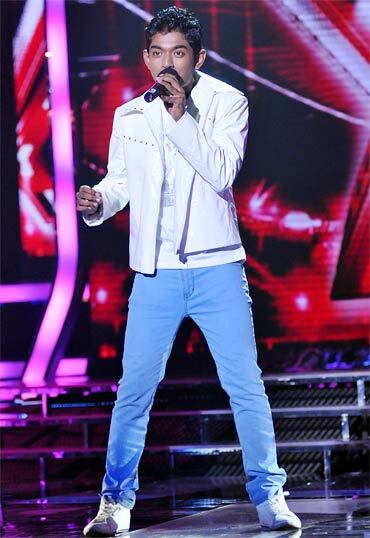 Amit is a professional singer and has dabbled in singing, acting and dancing. He is inspired by MJ and Prabhudeva's dancing. He feels he has what it takes to be the next X Factor. According to judge Sanjay Leela Bhansali, Amit is a born performer. here is no turning back for him now, and he is determined to take the crown despite the youthful competition. 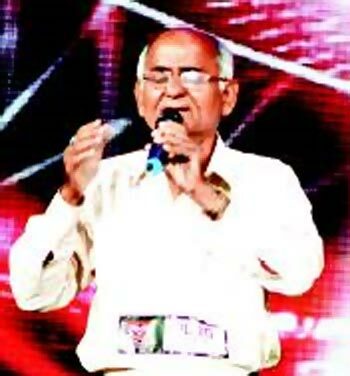 Rajendra has been learning music for the past 35 years and is a fan of Manna Dey and Mohd Rafi. He is thrilled that after so many years, he actually has the chance to display his singing talent before a national audience.